Currently I'm doing a masters degree in New Media student at the University of Amsterdam. I previously attended the American University in Bulgaria (AUBG), where I completed a double-major BA in Mass Communications and Political Science. After graduating, I spent one year working as a technology reporter at the leading Bulgarian business weekly newspaper "Capital". My research interests focus on the use of social media during political campaigning. My professional and personal interests include interactive book publishing, digital marketing, creative advertising, technology and gadgets, and English football. If you enjoy roaming the virtual streets of Google Maps’ Street View, take a deep breath and dive into the unique visual experience of “Gigapixel photography”. A gigapixel photograph is, mathematically speaking, an image that consists of one billion pixels, or around 125 times more than the capabilities of the 8-megapixel sensors of most modern mobile phones and point-and-shoot cameras. Having said that, imagine a panorama view of Paris on a sunny day with a resolution of 26 gigapixels. And since you probably can’t, here is what it looks like. The huge amount of visual information that such an image contains allows for deep zooming and makes possible the thorough inspection of unbelievable detail from a great distance. Since photographic technology isn’t advanced enough yet to produce a camera with a 26 gigapixel sensor, the level of detail is achieved by combining a large amount of separate photos and “stitching” them into one. 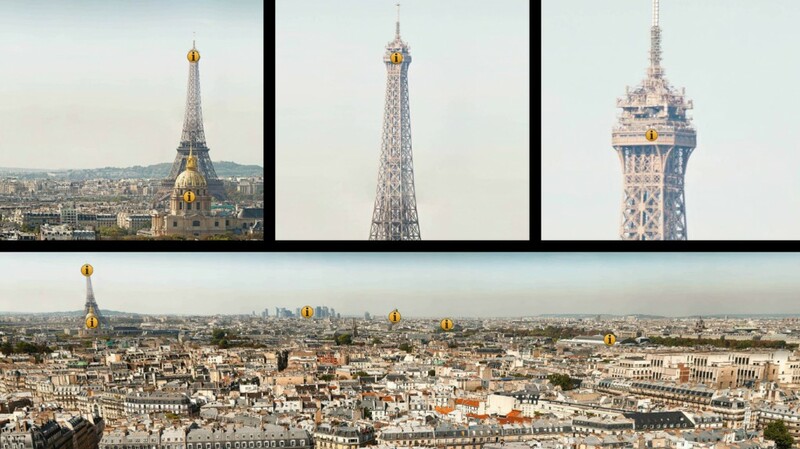 For the panorama of Paris displayed above were used 2346 photos, all “high resolution” in their own right. The combined size of the project is the astounding 354159×75570 px. Alongside with the production of the photographic image, a lot of work is put into making the user interface and the interactive elements. If you browse the panorama you will find that the zooming and panning controls are programmed intuitively and also detailed information is provided for all famous tourist and historical landmarks. These interactive elements enrich the purely visual data and take the project out of the simply photographic context thus entering the area we on this blog like to call “new media”. Such projects have been completed in a number of cities – Budapest (70 gigapixels), Shanghai (272 gigapixels), Vancouver (193 gigapixels), Dubai (45 gigapixels), London (80 gigapixels) and many more. This type of detailed visual documentation of a city landscape can be the foundation for innovative historic archival. If taken every, let’s say 15 years, the gigapixel panoramas can serve historians as invaluable documentation and proof of the visual and architectural development of a city. Cities, however, are no longer the sole object of gigapixel photography. The imaging technology can be used to capture large crowds of people and, through the ability to zoom to great detail, to identify them. 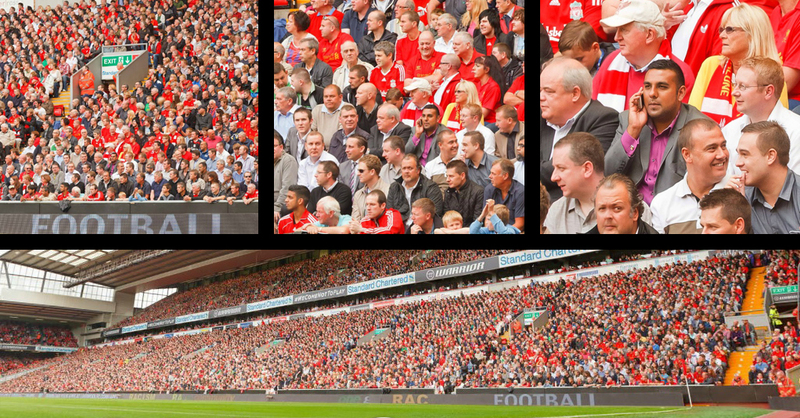 Very recently the English football club Liverpool conducted such an experiment taking a photo of the entire 44000 crowd at the Anfield Stadium during a game against London-based rivals Arsenal. The club then created a platform for fans to “find themselves” in the crowd and, by registering through Facebook, to tag themselves on the photo. The singling out of individuals is made extremely easy through the high zooming capabilities of gigapixel photography. Click the image to visit the website of the project. The developers gamified the project by adding fun treasure hunting tasks that encouraged the users to look closely at the photo and “win points” towards an award. This, along with the integration of social media, led to more than 9000 people participating during the first week after the photo was published. The use of gigapixel photography to capture crowds, however, raises a particularly strong privacy concern. Firstly, taking a photograph of a person without his permission and putting it on the internet is considered illegal in many countries. And while such a thing may seem harmless in the context of a football game, imagine the potential dangers of creating a gigapixel panorama of, say, a rioting crowd at an anti-governmental protest. Even in the aforementioned cityscape photographs, there can be seen (and identified) people that are standing kilometers away. Furthermore, if a certain user exploits the zooming ability of the panorama, he or she can look at private property seen through apartment windows. Irrespective of the potential privacy concerns, which always surround of both photography and the internet, the gigapixel projects can be a useful innovation both in terms of art and visual information. The potential for both artistic, entertainment and archival value is great, the production costs are relatively affordable ($15,000 is the approximated cost of all the required equipment) and the popularity and demand for gigapixel websites are rising. Everything else is a matter of finding a good vantage point. Hi my friend! I want to say that this article is amazing, nice written and come with approximately all vital infos. I would like to look more posts like this . « WikiLeaks or We Keep Leaks?